NOTE: THE ORGANIZERS HAVE SAID THIS EVENT IS SOLD OUT. Have you heard of LA Cookie Con? 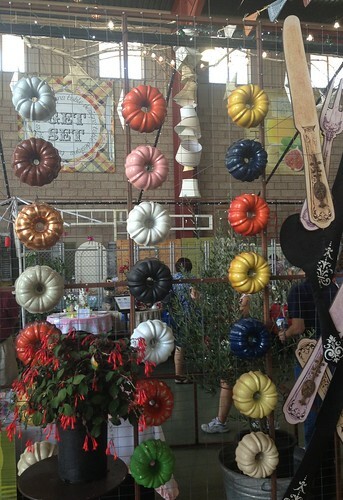 It’s like a dream come true–a day filled with sweets in LA! There will be samples, exhibitors, contests, celebrity chef/author appearances, pastry decorating classes and more. Plus, a portion of proceeds benefit Children’s Hospital Los Angeles. Save the date–January 25, 10 a.m. to 5 p.m., at the Pasadena Convention Center. Use promo code NOSHWITHME to receive $3 off any VIP or general admission ticket. This code is only good for the first 25 users, so don’t wait! 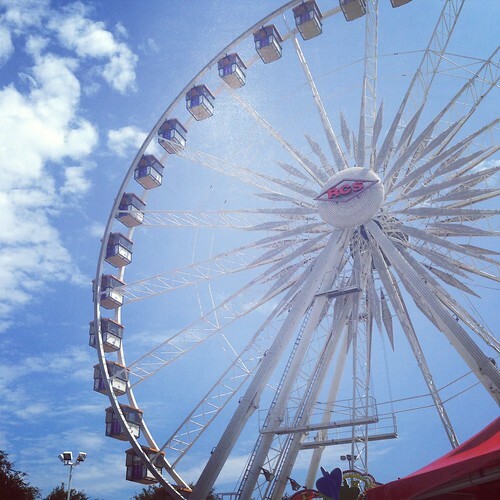 Last weekend, my sister and I got an early start and headed to the OC Fair. It was a gorgeous day and we were ready to explore! We knew we had a lot of eating ahead of us so we paced ourselves well. 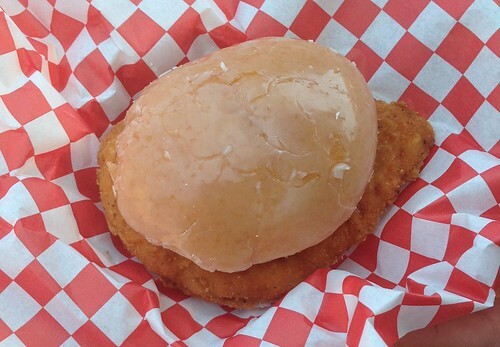 After a leisurely stroll to check out all of the food options, we decided to start with the Krispy Kreme fried chicken sandwich. We were both pleasantly surprised by the savory/sweet combination and found the chicken to be extremely moist. 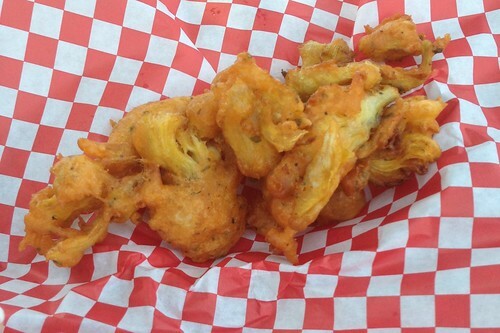 Next up were the fried artichoke hearts which I had been looking forward to since I heard about them weeks prior from a friend who ate at them at the Del Mar Fair. While they weren’t my favorite (a little too much breading for my taste), they were still delicious. If you get them, make sure to get some ranch for dipping. Not yet totally stuffed, we decided we had to try the fried cookie dough as we were told it was one of the most popular items at the fair. It sure lived up to the hype! 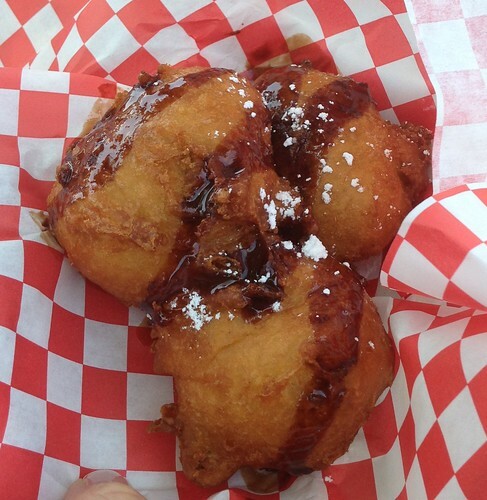 Gooey, chocolately, and covered in a fried batter, this was pretty damn amazing and my sister’s favorite thing we ate. Knowing there is a fine line between content and stuffed, we called it quits after the cookie dough, which turned out to be the right decision. And in case you’re counting calories (who are we kidding? at the fair? ), there are non-edible food related things to check out. 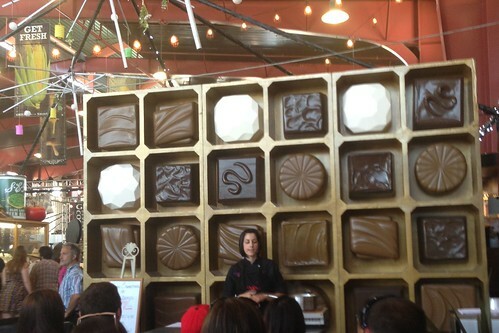 There’s a Culinary & Crafts exhibit in the OC Promenade with tons to do, including chocolate demos. We watched a toffee demo in front of the wall of chocolate, and I learned the reason my toffee sometimes separates is because I used unsalted butter; always use salted! Side note: The Silpat used during the demo had a lip on it so it covered the lip of the baking sheet. Brilliant! Has anyone ever seen that? I want one! 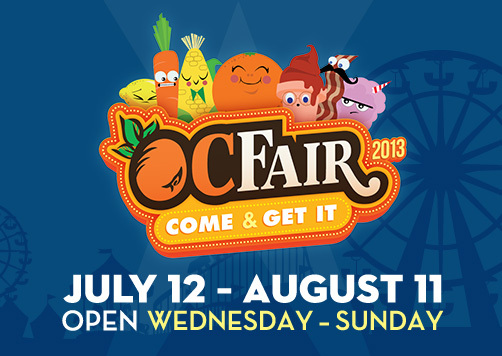 The Orange County Fair is open Wednesday – Sunday through August 11. Don’t miss out! Disclosure: The kind folks at the OC Fair knew I couldn’t wait to taste the deep-fried cookie dough and offered me two tickets for admission and food vouchers as well as two tickets to give away. Obviously I couldn’t say no. 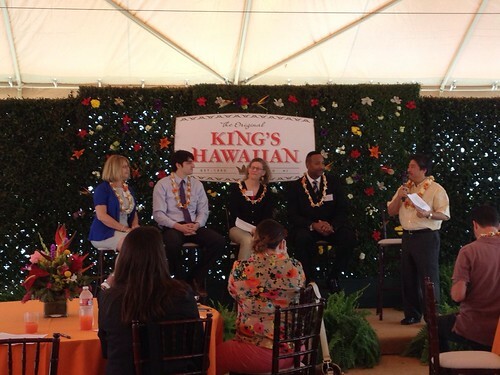 Earlier this month, I was invited to King’s Hawaiian headquarters for their Project Mahalo Lei Day event. Project Mahalo is King’s Hawaiian’s way of recognizing and giving back to organizations who do amazing things for the community. The four finalist agencies were Big Brothers Big Sisters of America, Family Caregiver Alliance, Meals on Wheels, and One Warm Coat. Meals on Wheels was selected as the winner and received $25,000, and the other agencies all received $10,000 each! Thank you King’s Hawaiian for being an exemplary example of how brands can give back! Side note: When I received the invite, I was super excited to attend, because I know first hand how Big Brothers Big Sisters can affect a child. I have been active with Jewish Big Brothers Big Sisters of Los Angeles for many years–I spent nine years as a Big Sister matched with an awesome Little and had the opportunity to watch her grow from a child to an adult, and have since sat on many committees. After the agencies were honored, we were treated to an enormous lunch. 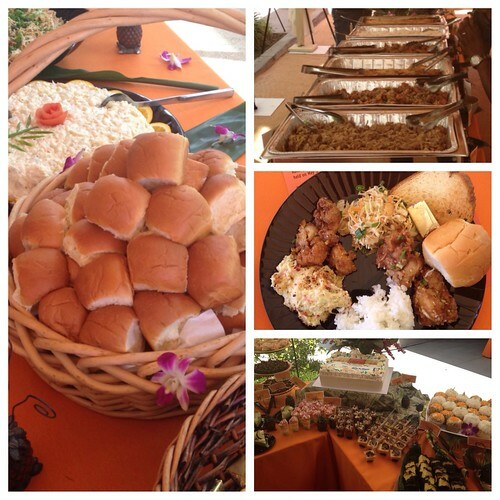 There was food for miles, and every one of the King’s Hawaii team was so warm and welcoming! We stuffed ourselves silly then went on a tour of the bakery. And yes, it smelled as incredible as you would imagine. 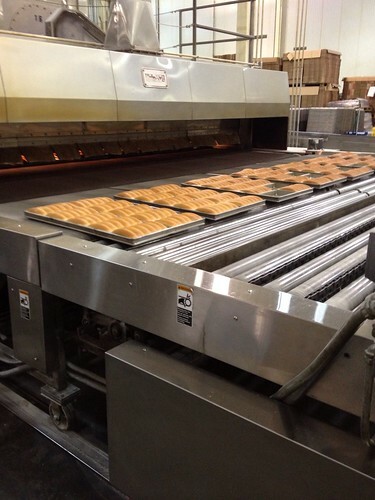 At the end of the tour, we were treated to bread fresh from the oven. There are no words. Finally, it was time to head home, and King’s Hawaiian gifted us with amazing bags filled with bread, cookies, and candy. 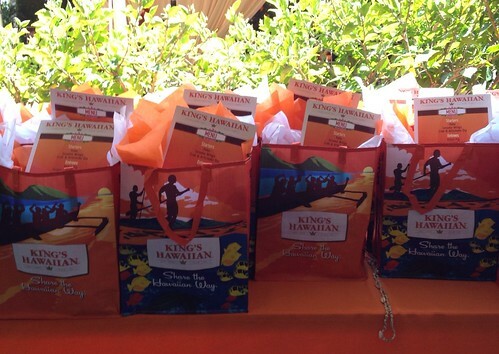 Disclosure: King’s Hawaiian provided lunch and gifts to everyone attending the event.